The dream came together in 2009 whilst spending time in a friend’s yurt in the Cotswolds. Being snowed in, relying solely on the fire and immersed deep into the magic, I saw how healing the space was. I knew I had to create this healing space and share it with lots of people. In the beginning people thought it was a bizarre idea. “Massaging in a tent? In Scotland?!! How is that gonna work?! !” was a common response! It was its own making and I still feel like I am simply the caretaker. I am completely in love with the yurt and it has many friends who are too. It is a sacred space to be and like many people, it is where I go when I need healing. The circular shape keeps the energy clear allowing deep reflection and restoration. Feeling close to nature and connecting to the elements, whilst also feeling warm and sheltered instantly brings us back to our selves. Reminding us to connect and breathe with our natural rhythm again. Stepping into a yurt is like stepping into another world. It shifts our sense of normal reality and opens our mind and imagination. This is the place where healing happens. 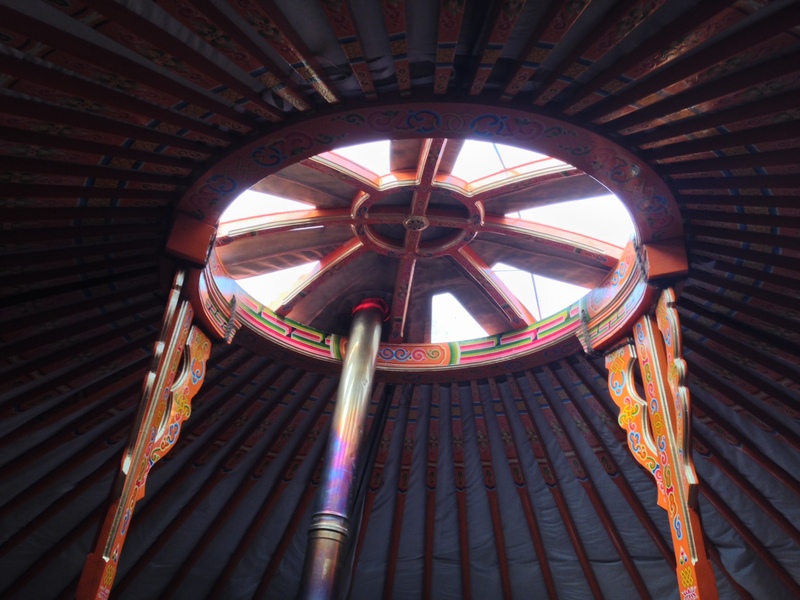 The yurt is a space where people come to reconnect with themselves and heal. They often bring with them issues that have felt heavy and overwhelming, sometimes heart breaking, which they have perhaps been carrying for a long time. They leave feeling clearer, lighter and freer. You may come with a physical, mental, emotional or spiritual issue you would like help with. Whatever you need to heal, the yurt is a safe and comforting place to be and is always here for you.